Sulawesi Adventure Tours, Discovery tours to explore Nature,culture and tribes South Sulawesi in Toraja land and Bira. Upon arrival at Makassar airport in South Sulawesi, our guide will be met you and by car drive to Rammang. Here you will ride a small boat on the Pute River with an amazing view of Karst stone that split by the river, walk around paddy fields and visit the local village around this area. then continue to Pare – Pare is a small harbor town with a warm atmosphere and nice view. Lunch in Pare-Pare. After lunch drive to Rantepao, Toraja Land. Dinner and overnight at Misiliana Hotel in Rantepao. Departure to Tanjung Bira, on the way, stop at Kajang tribe area. This is the home of the most distinctive forest tribe in Indonesia. In order to get into the village, we must be wearing special black clothes from top to bottom. The locals are extremely respectful to nature where they don’t use any type of technology and electricity. We will have lunch en route. In the afternoon visit Tana Beru where we will have a chance to admire the skillful hands of Buginese in constructing traditional Phinisi ship. 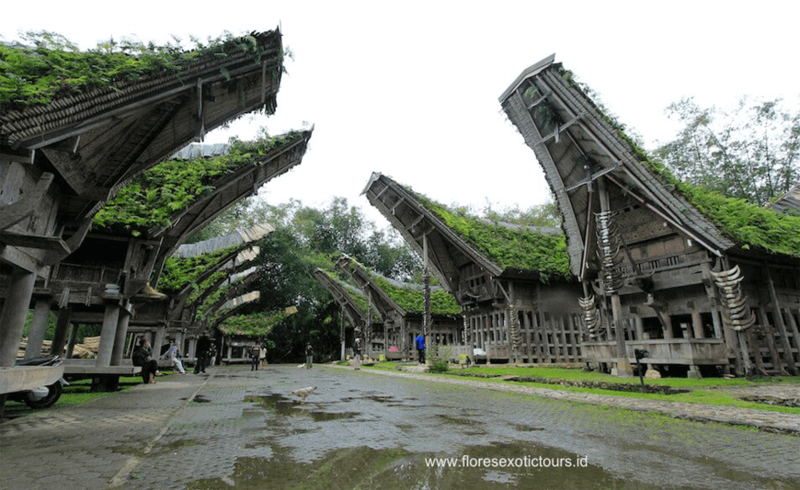 Tana Beru is the center of Phinisi ship factory in east Indonesia. Lunch will be served en route at a local restaurant. Arrive in Tanjung Bira in the evening. Dinner and overnight at Bara Beach Hotel. After breakfast, drive to Makassar at around 9:00 am. Some stop will be done on the way. Lunch will be at a local restaurant and in the afternoon drop at the airport in Makassar, flight to your next destination.